Schneider, Rolls-Royce Motor Cars Manila Dealer Principal, Willy Tee Ten, and Senior Vice-President, Michael Cua. They also presented the company's latest model, Ghost Series II. "The opening of this showroom in Manila follows an order history that stretches back to 2005. The burgeoning Philippines economy has been shaped by a group of highly successful entrepreneurs who now wish to reward themselves with nothing less than the pinnacle motor car. 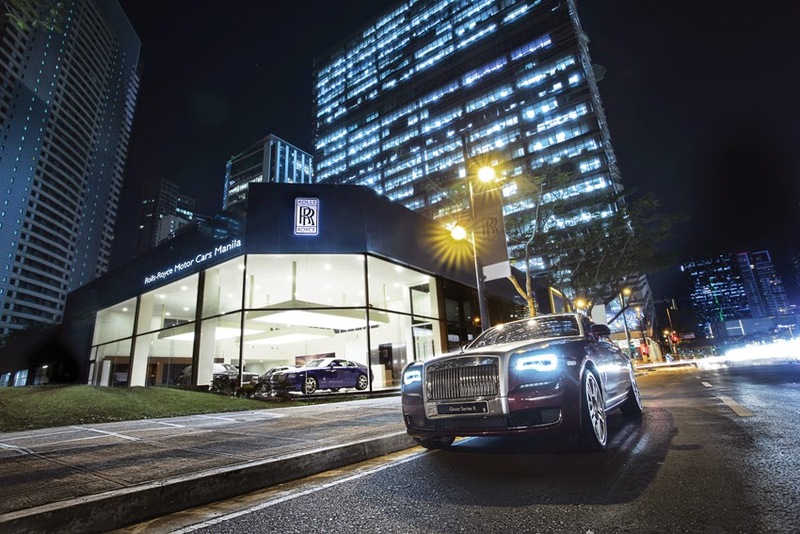 The new facility managed by British Bespoke Automobiles Inc. is the perfect place to indulge in authentic contemporary luxury, where the depth of understanding of Bespoke can be brought to life by the highly skilled Rolls-Royce Motor Cars Manila team," said Paul Harris. Michael Schneider added, "We are proud to also present Ghost Series II at this showroom launch. Ghost serves our clients' demands for the best in effortless dynamism, modern luxury and industry-leading technology, clothed in a discreetly updated design that protects the iconic character of a Rolls-Royce. The car, an oasis of calm in a frenetic business world, has already received multiple awards worldwide." Strategically located in Bonifacio Global City, this exclusive 323 sq m showroom facility can accommodate up to three cars and conforms to the company's latest global standards. Furnished in the finest veneer, leather and paint samples, the Bespoke lounge gives customers a direct line to the designers and craftspeople at the Home of Rolls-Royce, in Goodwood, England when commissioning their personalised vehicles. In the Asia Pacific region, virtually all Rolls-Royce cars delivered have some sort of Bespoke element. This new showroom in Manila is the 25th in the Asia Pacific region outside of China's mainland.